This book deals with the Islamic belief, in Allah, which secures the worldly and other worldly happiness of people. Addressing to the people, open-minded and open-hearted to the truth, it discusses the uniqueness of the Creator and Overseer of the universe, after mentioning some methods of confirming His existence. It examines the names revealing the grace and benevolence to us of the Exalted Being whom we pray both emotionally and mindfully, and the names manifesting our ranks in His presence. 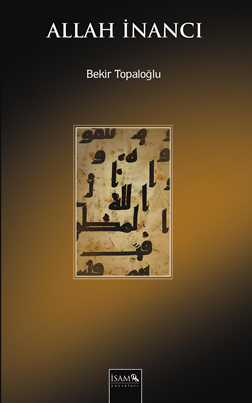 Lastly, it evaluates thoroughly the divine attributes, a subject which expresses the Islamic understanding of godhead against the other belief and thought systems.